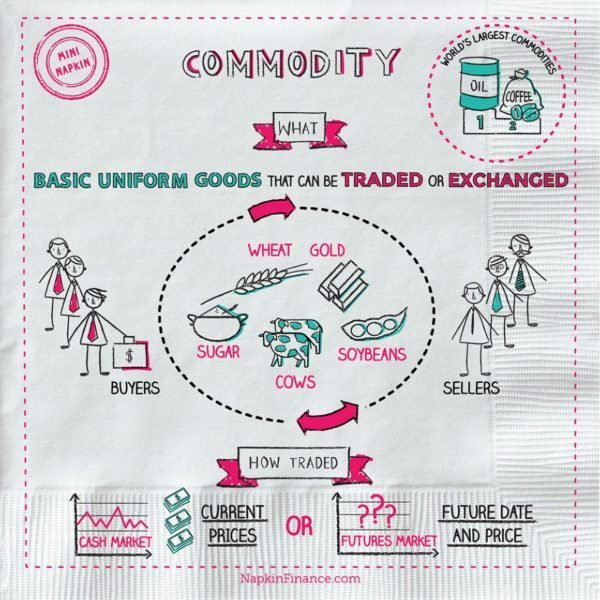 What is a Commodity? 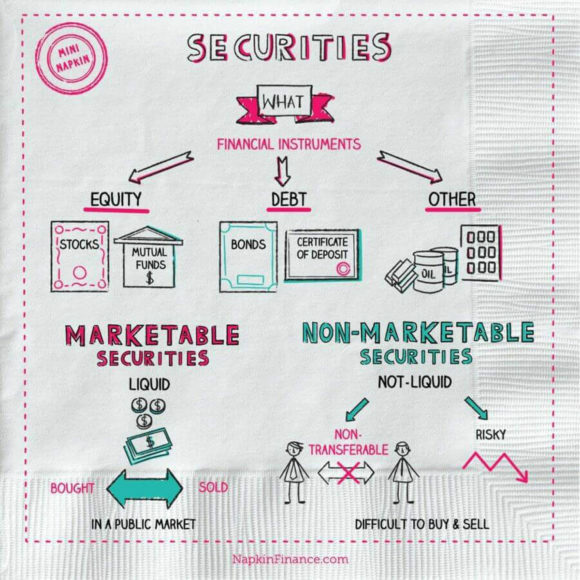 Napkin Finance has the answer! A commodity is a basic good that can be traded or exchanged. They are the raw materials that make up virtually everything, from your shirt to your dinner. Commodities must meet a basis grade (the minimum accepted standard) to maintain uniformity since commodities can vary greatly in their quality. If you look at these examples, you’ll see that they’re virtually the same no matter where they are produced. Items such as cars or clothing aren’t commodities because they can differ in quality. 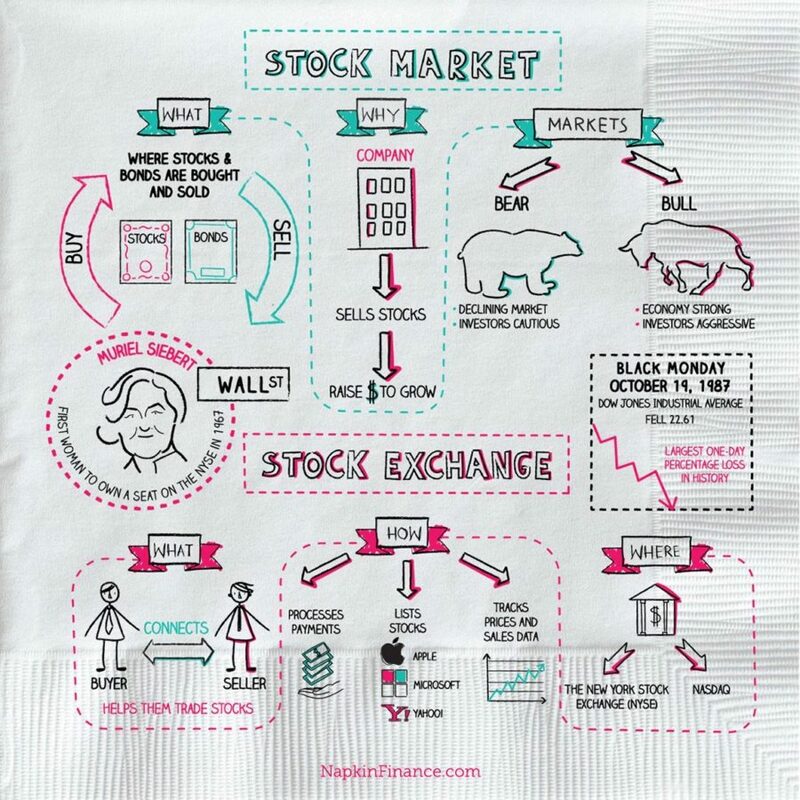 Buyers and sellers can trade a commodity in the cash market, where the transaction is based on current prices, or the more commonly used futures market. In the futures market, a buyer buys the obligation to receive a specific quantity of the commodity at a specific date and at a specific price. This offers price stability to both users and producers. The first exchange dates back to 17th century Japan; samurais and rice brokers established the Dojima Rice Exchange in 1697. The six commodities available for trading on Commodity Exchange, Inc. (Comex) on its opening day in 1933 were copper, hides, rubber, silk, silver, and tin. Oil is considered the world’s largest commodity because of its use in manufacturing numerous products, including gasoline, synthetic fabrics, plastics, and pharmaceuticals. Coffee is the world’s second most valuable traded commodity behind oil.